Feel like you are sitting in the studio with the quartet, where they will discuss the basics of samba, bossa nova and baião. Learn the influences on Brazilian music from funk, pop and cha-cha in this course for any instrument. With Drums, Bass, Guitar and Keys, the BRS Quartet will show you in detail during the lessons, how the Brazilian swing works, approaching various styles and demonstrating the techniques, ways and concepts that make the music of legends like Tom Jobim, Elis Regina, Djavan, Ivan Lins, among others. Don't miss a beat. 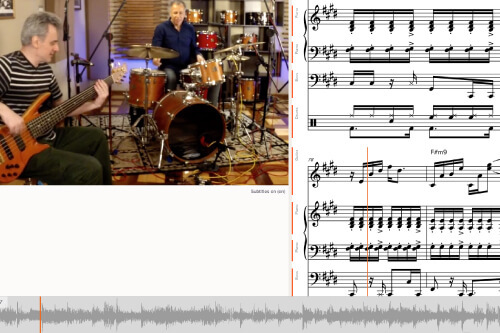 With Living Notation on select lessons you can learn exactly what the band is playing, becoming visually immersed as the notation follows the video note for note. If things are moving too fast, slow down a section with the speed control - the pitch always stays the same and you can digest at an easier pace if needed. Or, loop a section with our easy drag and loop system. There's plenty of charts and notation to help you along the way. With a total of 6 Grammys / Latin Grammys in tow, four renowned Brazilian musicians came together to form the BRS Quartet. With Celso de Almeida (drums), Paulo Paulelli (bass), Marcus Teixeira (guitar) and Felipe Silveira (keys) the quartet breaks down authentic Brazilian music, in a fun and interactive way, revealing the techniques and concepts that make up Brazil's legendary rhythms and their variations. This conversational course is presented in the beautiful Portuguese language. This musical-based dialogue between the artists gives you inside access and features English subtitles. Isolated play-alongs of each tune and instrument allow you to immerse yourself with these amazing musicians. With a total of 6 Grammys / Latin Grammys, four renowned Brazilian musicians joined to form the BRS Quartet. With Celso de Almeida (drums), Paulo Paulelli (bass), Marcus Teixeira (guitar) and Felipe Silveira (keys) the quartet aims to easily explain authentic Brazilian music, in a didactic and interactive way, revealing the techniques and concepts that make up Brazilian rhythms and it’s variations. Rosa Passos, Edu Lobo, Leny Andrade, Eliane Elias, Cesar Camargo Mariano, Paquito D'Rivera, Raul de Souza, Dominguinhos, Hector Costita and Emílio Santiago are just few names of the artists with whom the musicians of the quartet have performed, individually or as a band, in contributing to the history of Brazilian music. 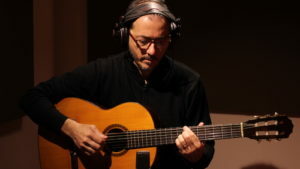 Born in Rio de Janeiro, Marcus Teixeira is a guitarist and composer. Throughout his 40 years dedicated to music, Marcus has become one of the most influential musicians of his generation. As an arranger and/or musician, he has worked with icons of Brazilian music, such as: Rosa Passos, Leny Andrade, Eliane Elias, Cesar Camargo Mariano, Emilio Santiago, Gal Costa, Maria Rita, among others, which earned him 3 Grammy awards. Currently, Marcus Teixeira is a member of the BRS Quartet, Quinteto Cais, guitarist/producer of the singer Zé Luiz Mazziotti, in addition to working as a professor at EMESP Tom Jobim - School of Music. 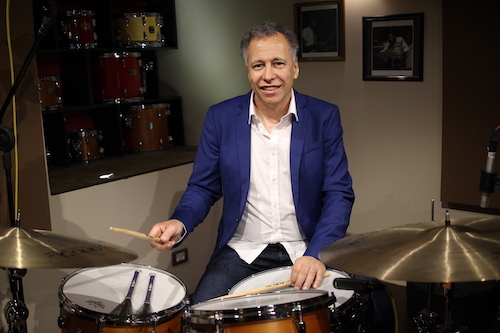 Celso de Almeida is the drummer of the singer Rosa Passos where next to her, participated in several festivals of Jazz by North America, Europe and Asia. For four years he has been a member of the band Mantiqueira, with whom he recorded the cd "Com Alma", bringing Brazilian instrumental music around the world. As side man he accompanied several artists, among them: Gal Costa, Gilberto Gil, Dominguinhos, Johnny Alf, Cauby Peixoto, Ed Motta, Emílio Santiago, Edu Lobo, Jane Duboc, Nelson Aires, Laércio de Freitas, Léa Freire, Amilton Godoy, Leny Andrade, João Donato, Raul de Souza, Leila Pinheiro, Eduardo Gudim, Léo Galdemam, Fafá de Belém, Fábio Júnior, Toquinho, Fabiana Cozza, Pedro Mariano, Zé Luis Mazziotti, Ney Matogrosso, Célia, among others. In 2001 he played with the Israel Philharmonic. In 2011 and 2013 he toured in Japan with renowned saxophonist Sadao Watanabe. In 2014 he released a jazz samba cd that bears his name: Celso de Almeida Trio; with pianist Felipe Silveira and bassist Sidiel Vieira. In 2015, the trio took their music to the "Cruces Magistrales" Festival in Brazil and Argentina. In 2016, he participated in the recording of Time Out by Brazilian singer Eliane Elias - based in the USA - and for this work in 2017 they won the Latin Grammy. Celso was invited and performed his masterclass in the city of San Sebastian (Spain), Drummers Collective (New York-USA) and Berklee (Boston-USA). He participated in concerts at the prestigious Blue Note in New York, Milan, Nagoya and Tokyo and also at the Lincoln Center in New York. In 2017 participated in the tour of the pianist Jesper Hedegaard in Denmark and recorded in Switzerland, a cd with the Brazilian pianist Inácio Floriano Júnior. 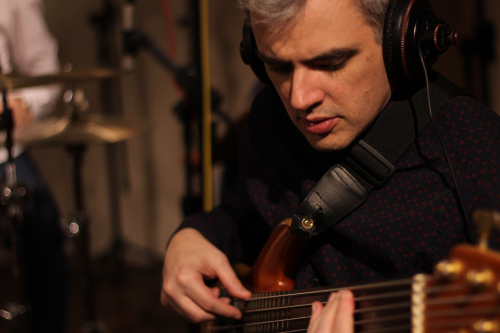 Paulo Paulelli, born in São Paulo, has been a professional bass player for 15 years. He received strong influence from his family, especially from his Uncle Messias Santos Júnior, partner of Chico Buarque and arranger for João Gilberto. His constant inspiration comes also from his grandfather Ernesto, better known as "Arnesto", illustrious resident of the District of Brás, in the city of São Paulo and immortalized by Adoniran Barbosa, in the song, "The Samba do Arnesto". As a multi-instrumental virtuoso and composer he has performed at international jazz festivals accompanying renowned musicians such as Rosa Passos. In October 2009, Paulelli released his first self-titled album entitled "Insight Moments ". As the title suggests, his album is a reflection of his own style and unique sounds. In this CD, talent and creativity appear in a perfect combination of jazz and Brazilian music. Throughout his career he has performed at international jazz festivals as part of the Trio Corrente that has been standing out alongside musicians like Paquito D`Rivera. Together they released a cd entitled "Song for Maura", winner of two Grammys as best latin jazz album at the 2013 American Grammy Awards and best Latin jazz album at the 2014 Latin Grammy. 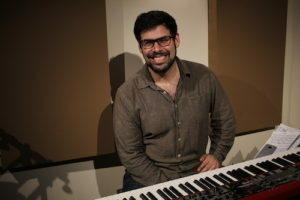 Felipe Silveira, pianist, teacher, arranger and composer, has been a professional musician for more than 15 years and studied under Jaime Barbosa. In this short period he has already acquired vast experience playing alongside musicians such as Hector Costita, Lito Robledo, Fernando Merlino, Thiago do Espírito Santo, Teco Cardoso, Toninho Ferragutti, Bruno Mangueira, Michel Leme, Cuca Teixeira, Idriss Boudrioua, among others.